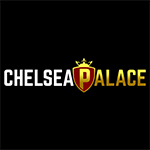 Have tons of fun at Chelsea Palace Casino with this great match bonus of 10% up to £200. All customers in the UK are eligible to grab this offer. Deposit over £10 on a promotional day and you will receive your bonus. This is valid on 21st and 28th of October. Cash out only after you’ve wagered the deposit and bonus amount 40 times. Be aware that the conversion from the bonus funds is limited to 20x. Believe it or not, this promotion is yours to take!